This week P happened to mention to people he met through work that his daughter was learning 4 languages. Some were amazed, some were weary, some thought he was just trying to impress them, others couldn't have cared less. But, as usual, he had a comment about being careful, about her being confused and about a (not so) similar case where the child had a silent period and refused to speak a language. We both know to be polite in our response (usually with a sentence like 'my wife knows about these things, she is a linguist') but usually ignore this type of comments not because we are ungrateful know-it-all people, but because they are usually tales relating to very different situations, based on old myths or hear-say comments. Luckily, we have had very few comments of the sort and our acquaintances have been mostly trusting and encouraging. And I am extremely grateful for that. 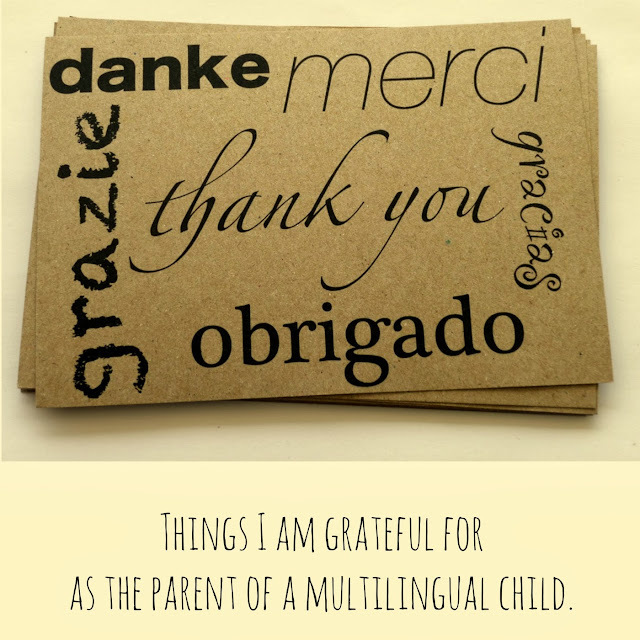 This month as part of the blogging carnival on raising multilingual children, Sarah asked us to write about giving thanks. What matters in our life? What are we grateful for as parents raising multilingual children? for never raising an eyebrow at the fact that she was learning 4 languages. and the other kids at our American library (in Germany), for the many stories, crafts, songs, games and trick and treat games that have made LJ realise there is more to English than Papa and Maman speaking together. for never questioning our decision to ever raise LJ with 4 languages, trusting us, supporting us and helping LJ to practice her languages. I probably would have disowned them anyway if they had raised any objections!! ah!! for living with these 4 languages as if it was the most normal thing in the world. Because, to us, it is. I also like how you point out that acquaintances who share their negative impressions of raising children multilingually are usually just misinformed, not malicious. Yes, most of them have good intentions but are very badly informed. How beautiful! 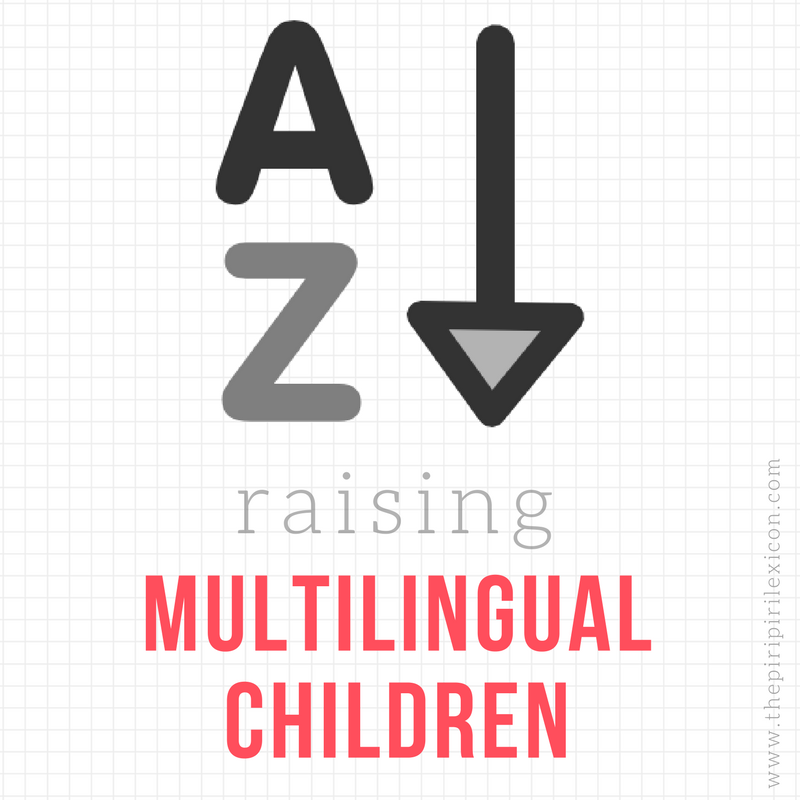 Your daughter is very fortunate to grow up in an environment with 4 different languages . What a gift! I also love the multilingual cards that your made.